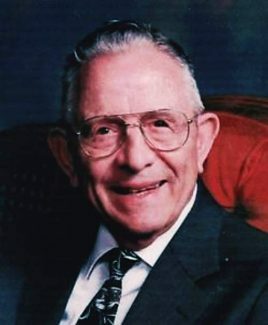 Philip Edwin Lee, son of Frank and Blanche (Appuhn) Lee, was born January 10, 1920 at Ashland, NE. He attended a rural school before moving with his father to Illinois. In 1938, he hitchhiked to Milford, NE, and later that year found work on the Bar H ranch near Clearwater, NE. On June 9, 1941, Phil married Ileen Florence Cary at O'Neill, NE The couple honeymooned at Boise, ID, where they spent a happy 'working honeymoon'. Phil found work picking cherries and later picking corn by hand, before returning to Nebraska. He was drafted into the Army in August 1944 and then trained at Ft. Robinson and in Arkansas before being deployed to Europe to fight in the Battle of the Bulge. During the occupation of Germany, Phil served as body guard to General Dwight Eisenhower and did some guard duty for General George Patton, before being honorably discharged on July 3, 1946 and returning to Clearwater, NE. The couple became parents to a baby boy David in 1948. He was diagnosed with nephritis at age 3 ½ and passed away a year later. Phil worked as a farm hand until purchasing a farm near Page, NE in 1962. He continued farming there until selling the farm and purchasing a house in Ewing, NE in 1992, following a battle with cancer. Phil gave his heart and life to the Lord in 1947 and was a devoted Christian the rest of his life. He enjoyed trees and planted over 1500 on their farm, and his love for airplanes pushed him to take flying lessons later in life. Phil was preceded in death by his parents, wife Ileen in July 2014, son David, and five siblings: Frances, Wayne, Pauline, Fern and Maxine. Philip E. Lee of Ewing, NE, passed away, Wednesday, March 4, 2015 at the Golden Living Center in Neligh, NE. Funeral services were Saturday, March 7, 2015 at the Ewing Full Gospel Church in Ewing, NE, with Pastor Wayne Smith officiating. Interment will follow at the Clearwater Cemetery in Clearwater, NE with military rites by American Legion Post 214 of Ewing. Visitation will be Saturday morning from 9:00 until service time, at the church. Huffman-Levander Funeral Home of Elgin, NE is in charge of arrangements.